Bonelli’s eagle is an agile, mostly silent hunter; its distinctive klu-klu-klu-klee call is heard mainly when it is near the nest or when mating. The plumage on the upperparts is dark brown, while the white underbelly is patterned with dark bands, and the underside of the tail is white with a single broad black band at the end. Young Bonelli’s eagles lack the black band on the tail and the plumage is much less striking, with a beige underbelly and wing coverts. The birds of Spain from Wildglimpses on Vimeo. 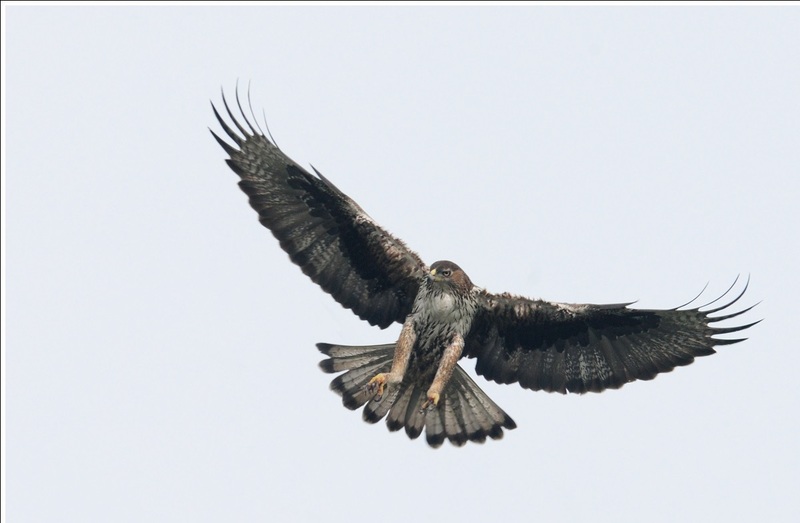 Bonelli’s eagle tends to live in warm, mountainous regions, nesting on cliff edges and sometimes on trees. Typically, vegetation in these areas is dominated by scrub, but Bonelli’s eagle also inhabits more densely covered areas and almost completely bare areas. It tends to live at low and medium altitudes, but has also been found to live as high as 2,000 metres above sea level in Africa. 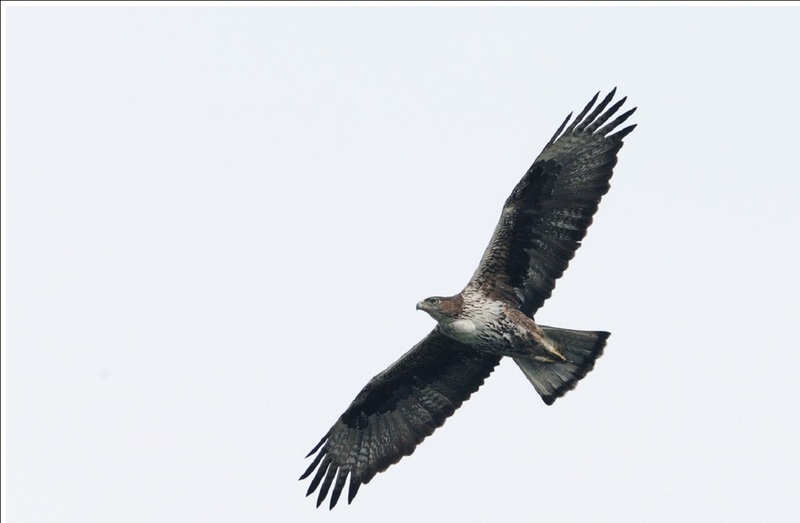 Whilst the global population of Bonelli’s eagle covers an extremely large range and has not declined enough for it to warrant a threatened status , in certain areas, declines in Bonelli’s eagle populations have been worrying. In Europe, this species is considered Endangered; the nesting population in Spain declined by 25 percent during the period 1980 to 1990, and there is now estimated to be only between 938 and 1039 breeding pairs remaining in Europe. An increase in adult mortality rate seems to be the main cause of population decline in southern Spain, which is one of the last strongholds in Europe. These population declines are the result of several threats, the most serious ones in Europe being hunting, electrocution or collision with power lines, and the loss or disturbance of suitable habitat . 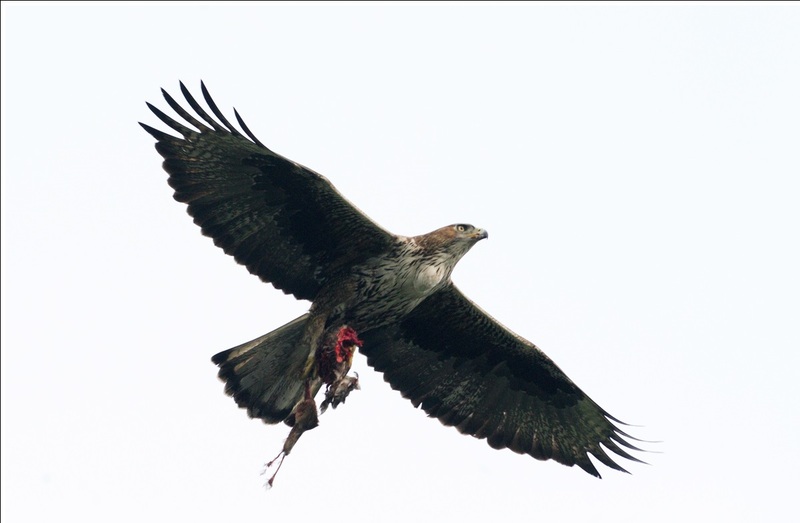 Bonelli’s eagle is also being affected by a shortage of food; diseases such as myxomatosis have considerably reduced the number of rabbits in the region, one of the eagle’s favourite prey. 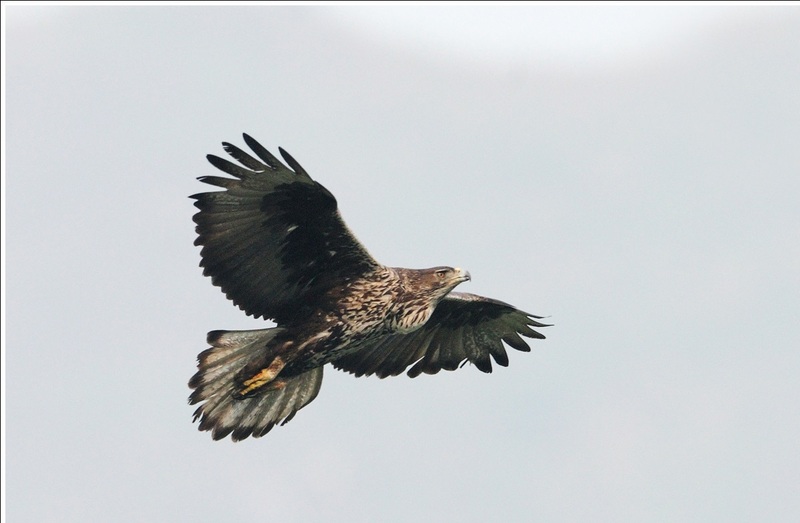 In Europe, where Bonelli’s eagle is considered endangered, an action plan was created with the short term aim of maintaining the existing populations in Europe, and the longer term aim of increasing the population size and encouraging the bird to recolonise parts of its former range. To achieve these aims, numerous measures were proposed including the enforcement of existing hunting regulations, modification of those powerlines that have caused eagle deaths, and the protection of areas that hold important breeding sites. 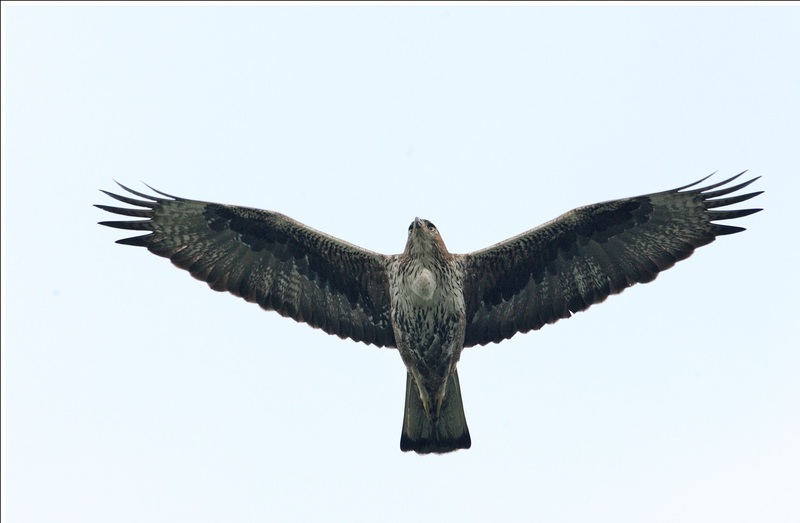 Hopefully such measures will prevent this magnificent eagle from disappearing from Europe altogether.